Soffritto is the foundation of every successful sauce! 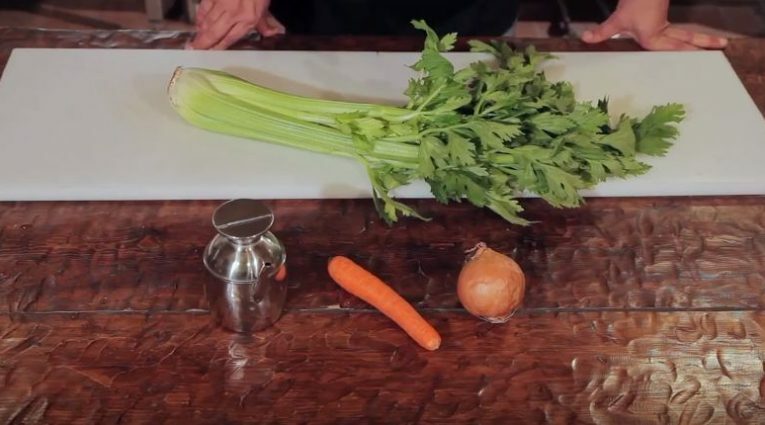 Take the three vegetables (celery, onion, carrots), chop them really finely. Heat the olive oil in a saucepan and gently fry the celery, carrot, onion and bay leaves until golden, about 15 minutes.